I dunno why people judge this brand as a harmful one. I never had any problem wearing Nonna products. Their products are not in the same quality as fake cosmetics, even though often sold together. Nonna is a cosmetic brand from Taiwan, and they have permission from BPOM, or so they claim on their official Facebook account. 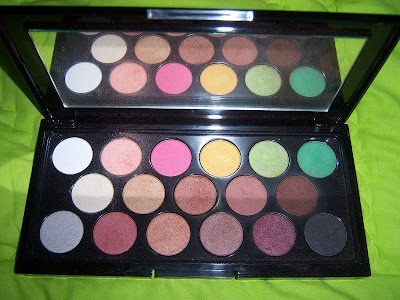 I bought this palette on Facebook, I got it cheaper because I won something like a competition held by the admin of Nonna Facebook account. They're so nice. I texted them so much and ask them questions like a lot, but they ain't even mad. And here's some swatch. 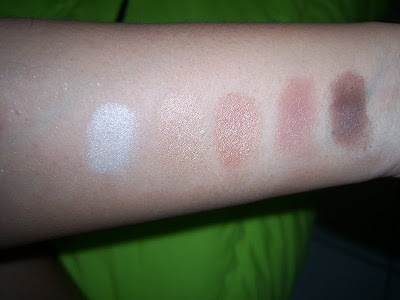 Top row were swatched using fingers and the rest using brush. 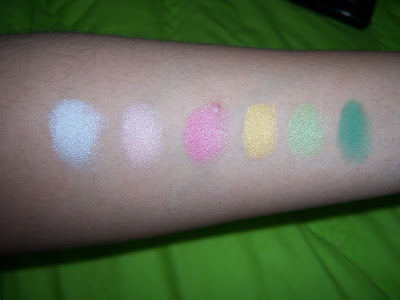 And all colors are swatched on Aubeau Eye Make Up Base. I personally love the burgundy and dark plum. The colors are very lovely. And I use the light peach for browbone highlighting, light ivory for nose highlighting, soft brown for nose shading, and dark brown for cheek shading. I think this is a great product. 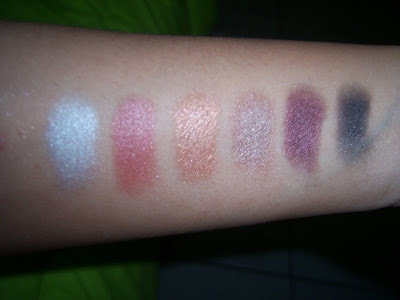 And what I like is they have this palette in other colors. Check their Facebook account for more product, and I tell you, they have some really good palettes worth to buy, and in very affordable price too!